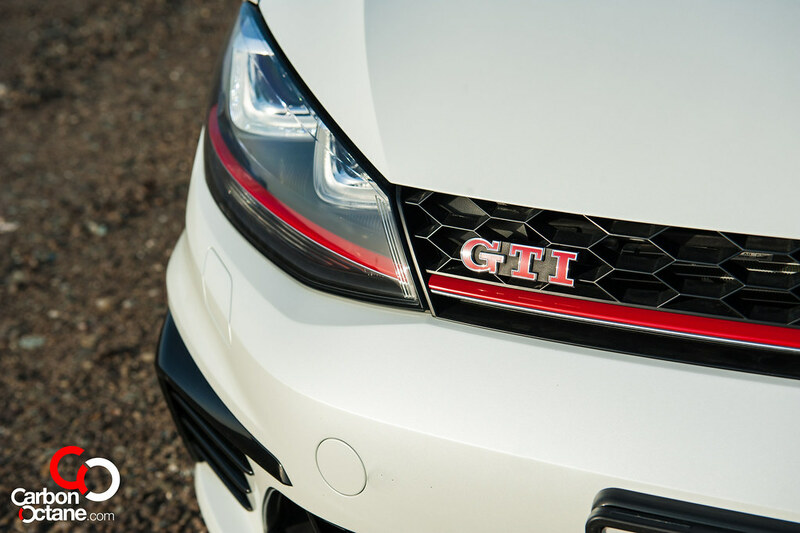 It’s always special when a manufacturer makes a tribute to their best seller, much like Porsche’s 911R and Ferrari’s 458 Speciale; VW treated all of us with a special pocket rocket from their legendary GTI. 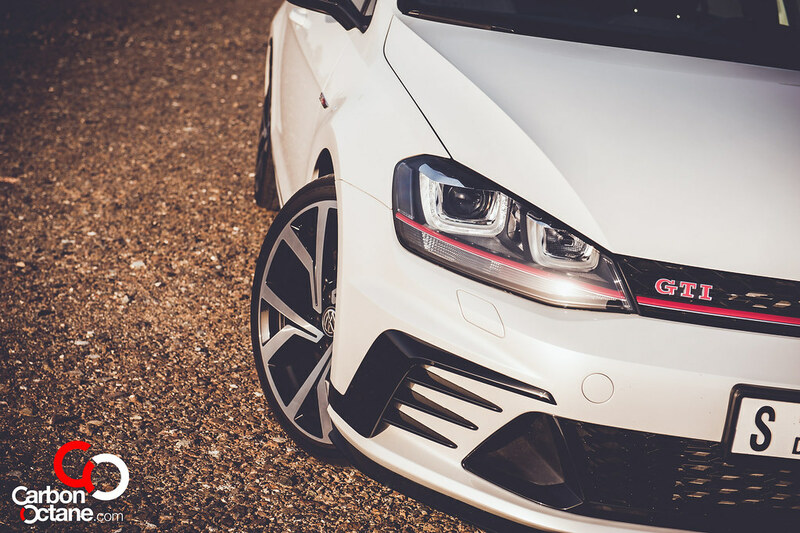 It’s called the Golf GTI Clubsport here but also known as the GTI Clubsport Edition 40, marking tribute to 40 glorious years of their GTI badge. 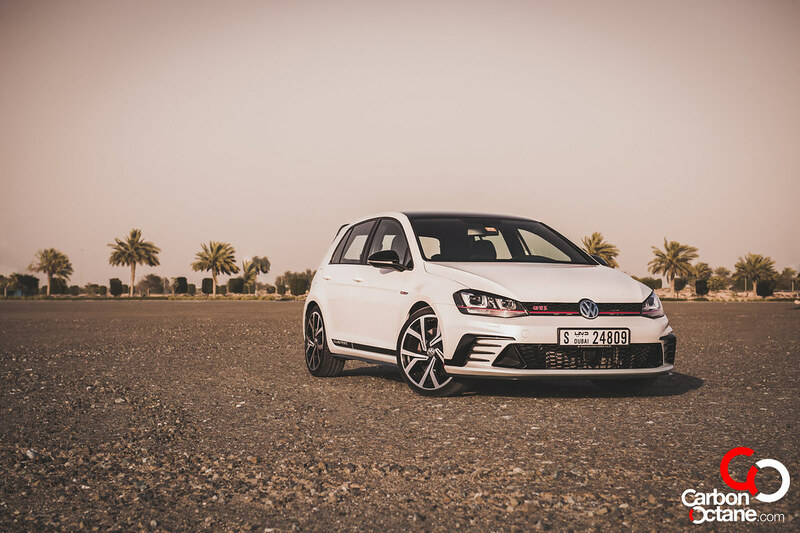 First with the bad news; VW has gone further and created an even more mental version of the GTI, the 306 Hp Clubsport S which unfortunately won’t be available in our region. 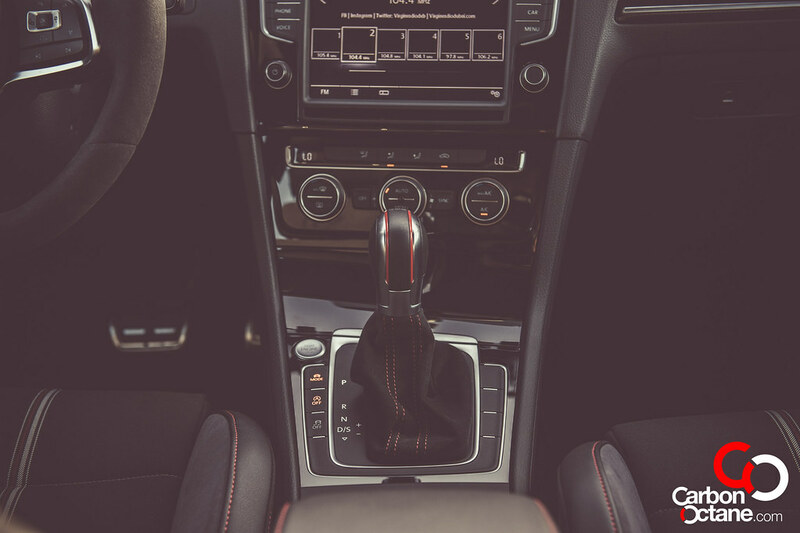 But what’s in a single alphabet anyway, the letter “S”, we are quite content with the – shall we say a regular Clubsport! 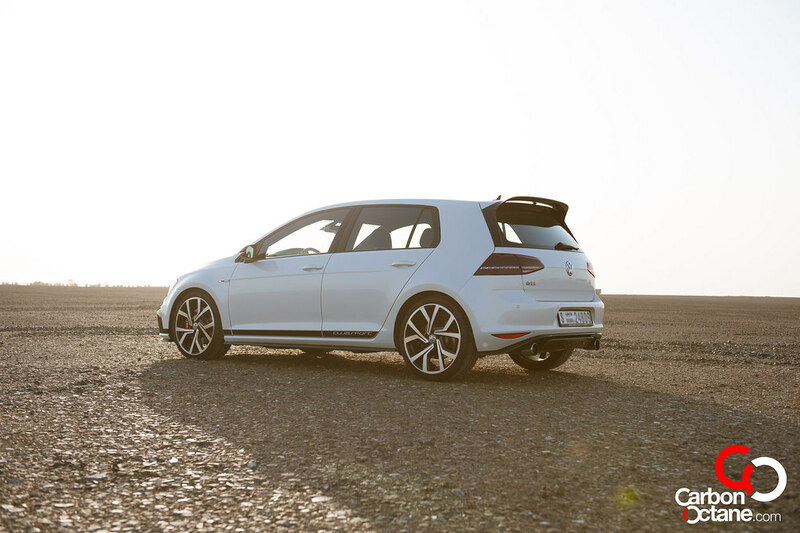 So what do you get with the Edition 40 Clubsport GTI and where does it fit? It fits smack down in the middle of the GTI and the Golf R in specs and in its price. 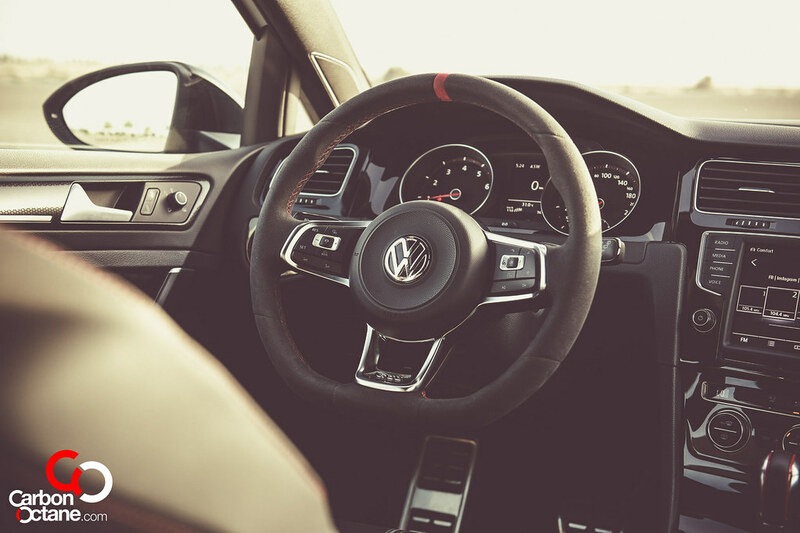 But in terms of grin factor and the sheer driving experience it is right up there with its formidable elder brother; the VW Golf R.
To the untrained eye and those who are not familiar with the VW brands it was always hard to differentiate between the Golf GTI and the Golf R. There were some obvious signs like different rims and quad exhaust outlets on the Golf R but the shell had remained virtually the same. Not so for the Clubsport!! 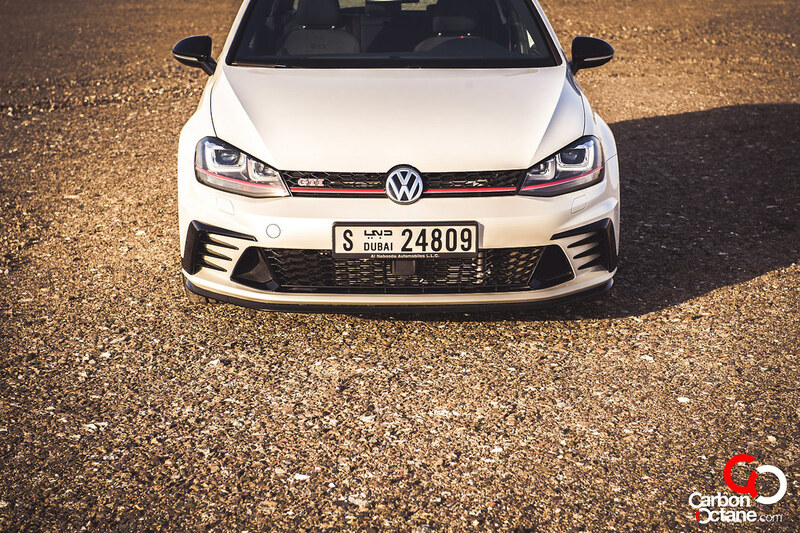 The front bumper gets wider air intake outlets and aggressive duct vanes that marks a rather aggressive front end look and sits on unique and lighter 18 inch rims. These are all functional and nothing has been left for show. The rear gets an extended roof spoiler along with a diffuser that adds down-force at high speeds. And you also get “Clubsport” decals on the sides, pretty much a standard these days from the German manufacturers. They tend to throw in these subtle hints in case you missed out. 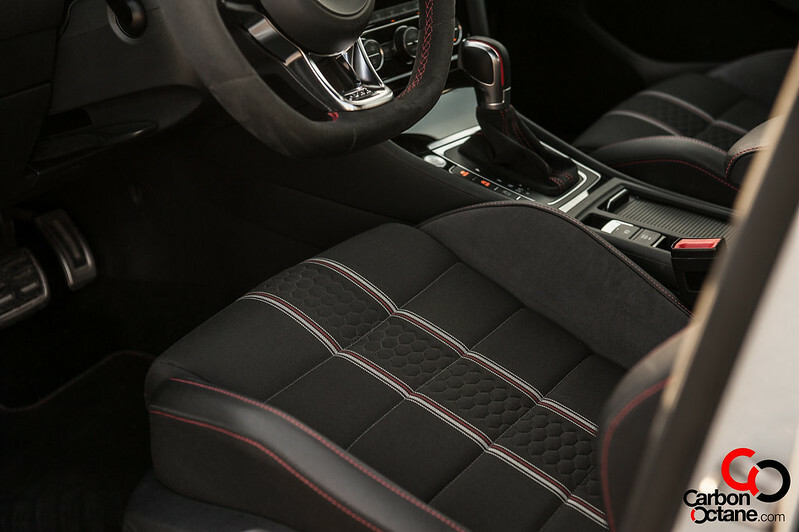 Once you are inside there are a few subtle trim lines that are unique to the Clubsport. 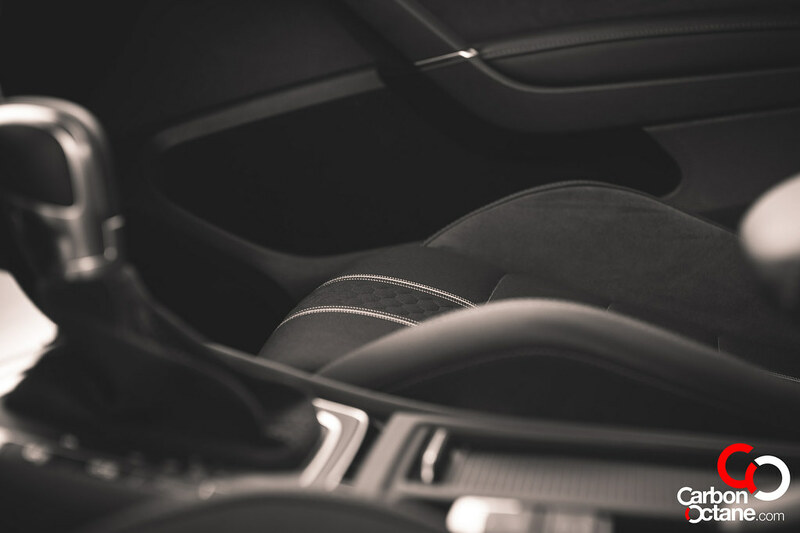 The main difference would the wrapped alcantara steering wheel with the red band on the center and alcantara trim on the seat with honeycomb stitching that runs through the center of the fabric. 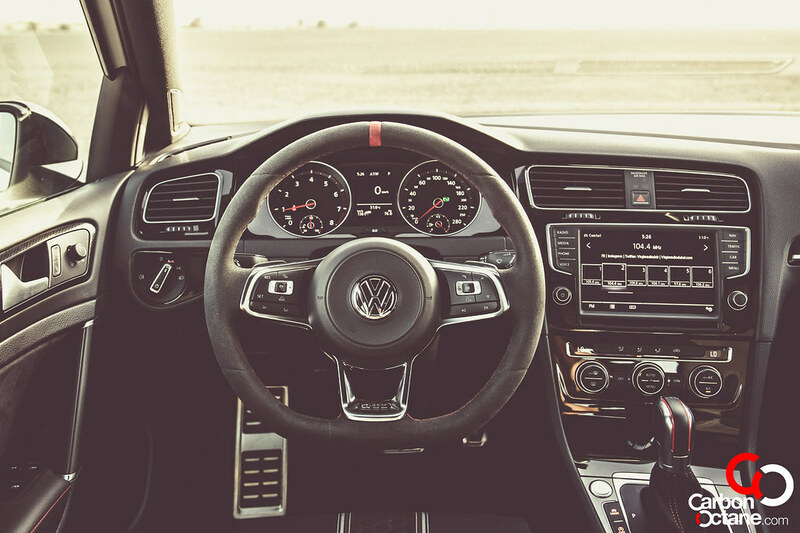 Power rises from 227hp of the GTI to an impressive 265hp but that’s not all, it also gives an over-boost for 10 seconds which raises the peak hp to 290 and that’s Golf R territory, all delivered to a FWD layout. 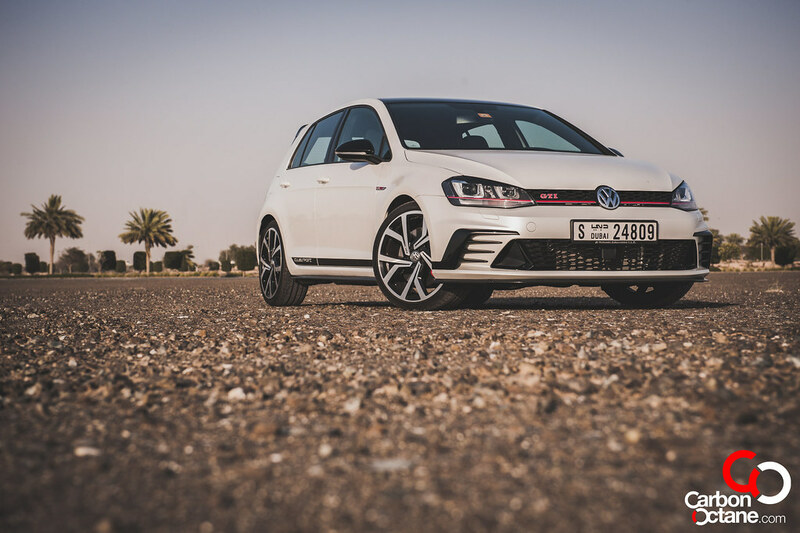 Yes, the Clubsport feels considerably faster than the GTI with its suspension tuned specifically for a more dynamic drive; it feels docile around the corners as well. 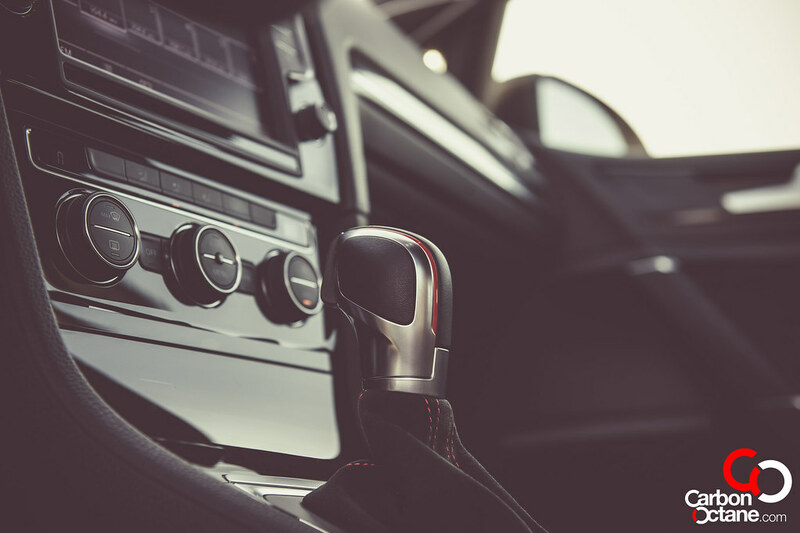 The ride has not compromised for daily driving even though the suspension is more apt for a more aggressive drive than the GTI, it’s only when you pass the rumble strips that you notice the stiffness, that’s a remarkable piece of geometrics. 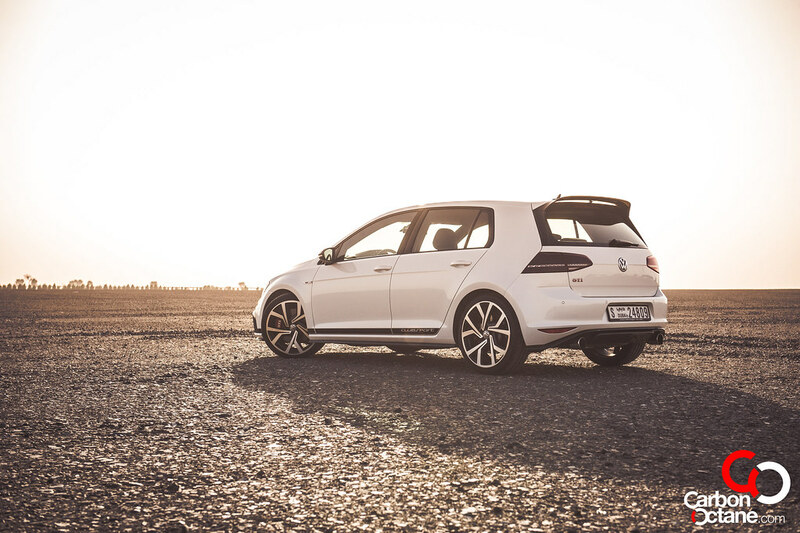 The Clubsport is rather special as it carries forward to what the GTI is all about, it’s about fun and practicality with brawns to spare. 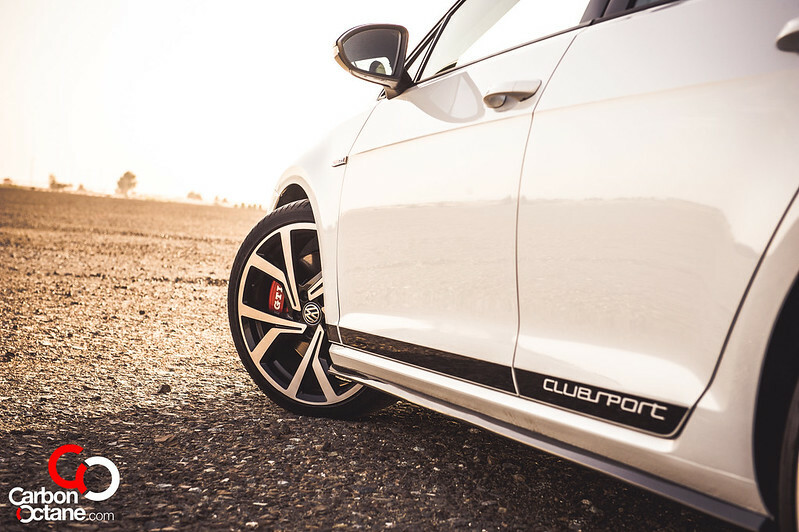 Whether you are driving around in the city or the weekend gateways out of the city or to the track, the Clubsport is adaptive to suit these needs. Its impressive composure during sharp direction changes and sharpness in handling is what this hot hatch is all about, and there are few in the market that can match the GTI Clubsport in its price range for performance and agility, but it will be hard to find them, really quite hard. 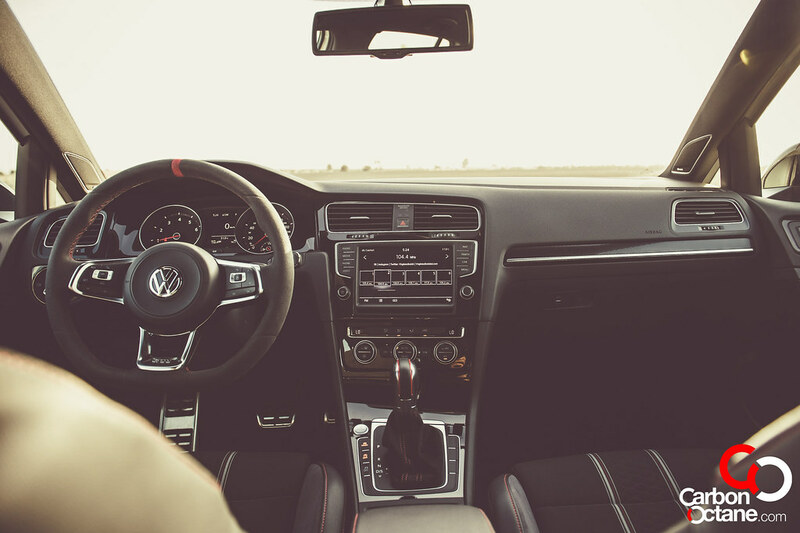 The GTI has defined the hot hatch market and has won over loyalists and carries brand loyalty second to none. 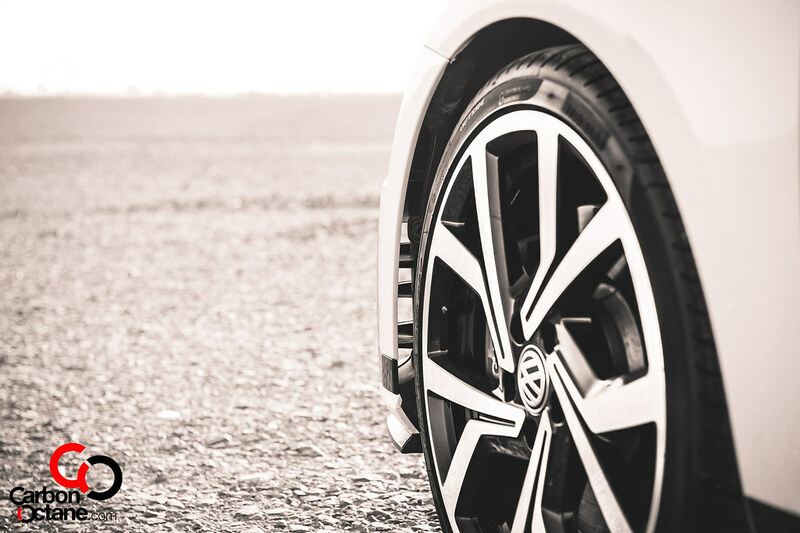 You can check out the GTI clubs which tends to sprout out in every corner of the globe where the GTI has its presence. The Clubsport is a proper homage to this great name. 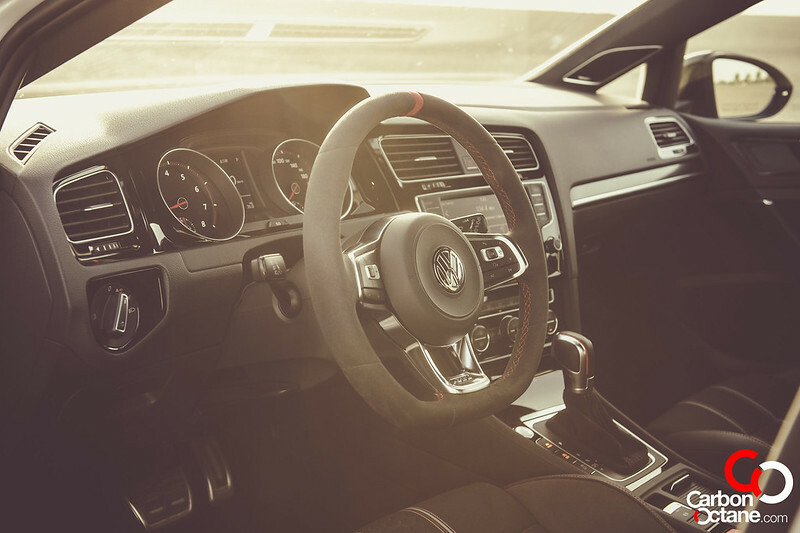 It’s limited and are still available in select numbers with the dealerships in the UAE. Get it while you can.